Blue Mountain Jamaica - Explore Majestic Jamaica's Blue Mountain! New! Note: To make a reservation to explore the Blue Mountains, contact the Jamaica Conservation Development Trust (JCDT) at (email) jamaicaconservation@gmail.com or call 876-920-8278 to 9. The Blue Mountain records the highest peak in Jamaica, towering at 7,402 feet (2,256 m). 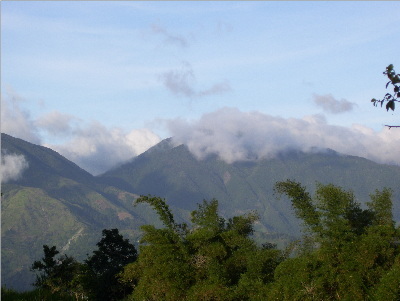 It also accounts for the longest continuous mountain ranges in the Caribbean! The Blue Mountain range sprawls across the eastern portion of the island for a length of 28 miles and an average width of about 12 miles. They rise steeply in an area so densely that it is possible to drive from the coastal plains to a height of over 7,000 in under an hour. The peaks are seen as a relief from the heat in Kingston. Because of its location and climate, it hosts a variety of lush vegetation and flowering plants, some of which may not be found any where else in the world! The higher sloops are reserved as a forest, and the lower sloops are cultivated. It’s also home to our world famous Blue Mountain Coffee! This is cultivated on the lower sloops. The Blue Mountains is also the home of the the 194,000 acre Blue Mountain and John Crow Mountain National Park which was established in 1992. It's objective was to protect some of the remaining forests and to protect the island’s largest watershed. This diverse mountain forest have more than 800 species of endemic plants, the world’s second largest butterfly - Papilo homerus, 200 species of resident and migrant birds and is one of the largest migratory bird habitats in the Caribbean. It hosts a variety of lush vegetation and flowering plants, some of which are found only here! The most interesting though, is perhaps the Jamaican bamboo, Chusquea abietifolia, which flowers only once every 33 years. The next flowering is expected to take place in 2017! 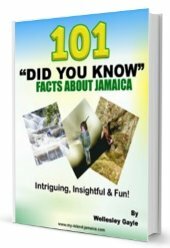 The traditional Blue Mountain trek is the 7 mile hikes to the peak with an increase in altitude of 3000 ft. Jamaicans prefer to reach the peak at sunrise so the 3-4 hour hike is usually undertaken in darkness. The dawn is especially beautiful and on clear mornings, unrestrained view captures both the north and south coasts. On leaving the cleared mountaintop, the return trip reveals the botanical richness of the mountain. There are quite a few tours to the Blue mountains, but most are geared towards Eco Tourism. Jamaica Eco Adventure Tour: It’s a showcase of the most beautiful spots in our highest tropical rain forest, such as cascading waterfalls and coffee plantations. Blue Mountain Bicycle Tour: It offers a down hill riding tour. It’s a wonderful way to view the landscape as you go down the mountain sides and rolling hills. The lower slopes of the Blue Mountains are now mostly grasslands but some areas are used for the cultivation of vegetables, spices and the world renowned Blue Mountain coffee. By the way, the first coffee seedlings were brought to Jamaica from Hispaniola in 1728. Presently, Jamaican Blue Mountain coffee is considered to be among the best of the gourmet coffees in the world. In maintaining the quality known for the Blue Mountain Coffee Label, the Jamaica Coffee Industry Board set standards for the coffee beans and the processing, in order to carry the label. Most of the coffee beans cultivated in the lower slopes are done on small plots. Because of the retail price of coffee on the world market, most farmers opt to roast and sell their own beans. Each farmer has their unique way of the process and are always happy to explain why theirs is the best. These vendors can be seen plying the wares on the Kingston-Buff bay road, near the town of Section. Blue Mountain Jamaica offers an exciting, thrilling and adventurous way to learn and enjoy our country. Return to other places to visit in Jamaica from Blue Mountain Jamaica.